The Disney organization has no peer when it comes to creating amazing Guest Experiences. Their Cast Member interaction with Guests is legendary in providing a warm welcome to the Disney Parks. From your arrival by car, monorail, or boat, the Guest is almost overwhelmed by the tremendous “first impression” that Disney Cast Members deliver. Just a few weeks ago on Independence Day, I’m sure many of you saw and heard first hand fireworks of all shapes and sizes. Independence Day fireworks are memorable, and they add a special feeling to the festivities of the day. 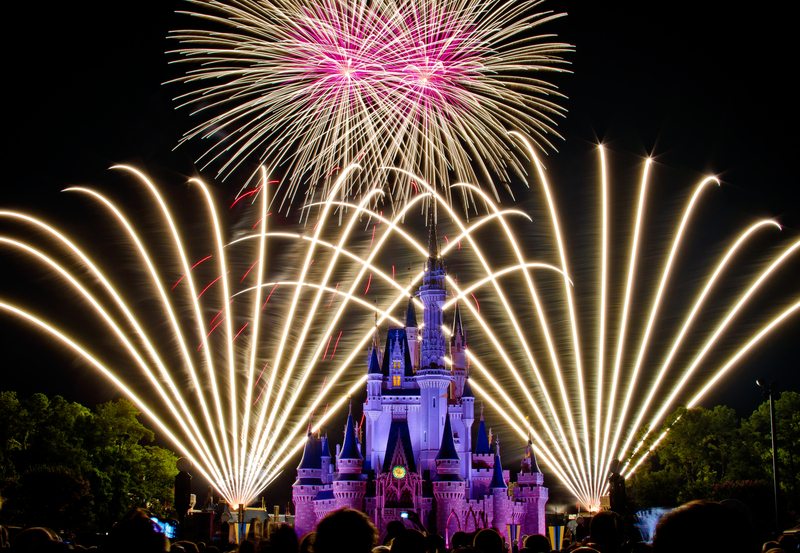 But fireworks at Disney parks – they are unique. Suddenly, almost without warning, the park goes dark, the castle lights up in a blinding white blaze, and the enormous trumpeting of horns heralds the long-awaited arrival of the fireworks show. Words alone can’t convey the impact of that moment. There is no point during the Disney park experience when the magic hits harder than with the opening notes of the fireworks show. To quote Jiminy Cricket, “like a bolt out of the blue,” a feeling of “WOW! I’m actually in Disney World” washes over the crowd in that split second. The show continues to build in intensity, the music gets louder, the fireworks more majestic until at the end, the sky is seemingly covered from horizon to horizon with a colorful canvas of memories and magic. That’s what the Guests remember – and it makes them start thinking about the next time they can return. But it isn’t quite time to say goodbye – for those hardy souls who have the stamina and endurance to remain till the park’s closing – and just a little longer – there is one more Disney magic surprise – the Kiss Goodnight. Too few Walt Disney World fans know about The Kiss Goodnight. If you just thought, “what’s that?” you’re not alone. The Kiss Goodnight is a little over 2-minutes long, and it is the Magic Kingdom’s way of saying “goodbye” to guests at the end of a long day. It usually plays every 30 minutes after the park closes and starts with Cinderella Castle “twinkling” as the music from When You Wish Upon a Star slowly builds. The Kiss Goodnight is the proverbial icing on the Cake (Castle!). 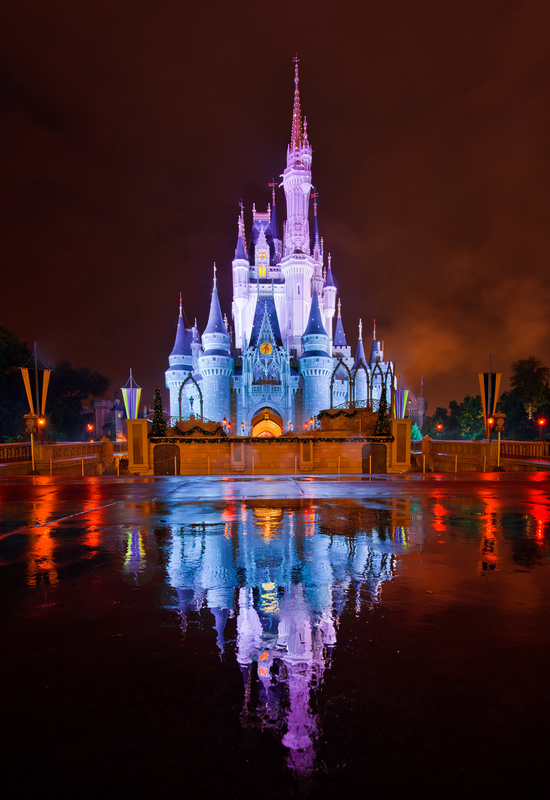 After a long day in the parks, we can’t help but just stop and watch the Kiss Goodnight, completely frozen and unable to move. For us, the combination of the beautiful light display and hearing about the meaning Walt Disney wanted the parks to have for guests does it every time. I’m convinced that most people who “get” the Disney theme parks would get goose bumps if they were to stand in a mostly empty Magic Kingdom and watch and listen to this on a tranquil Main Street USA. It’s special not just because you’re in the park at such a peaceful time, essentially by yourself with Cinderella Castle, but also because of the significance of the words in Roy O. Disney’s Walt Disney World opening day dedication speech. The Kiss Goodnight basically embodies and reminds us exactly why it’s so great to be a Disney fan. If you haven’t stayed to experience The Kiss Goodnight before, you should definitely make an effort to do it at least once. It absolutely belongs on everyone’s Disney Bucket List. How do you tell your Guests goodbye?